Here's another blast from the past. 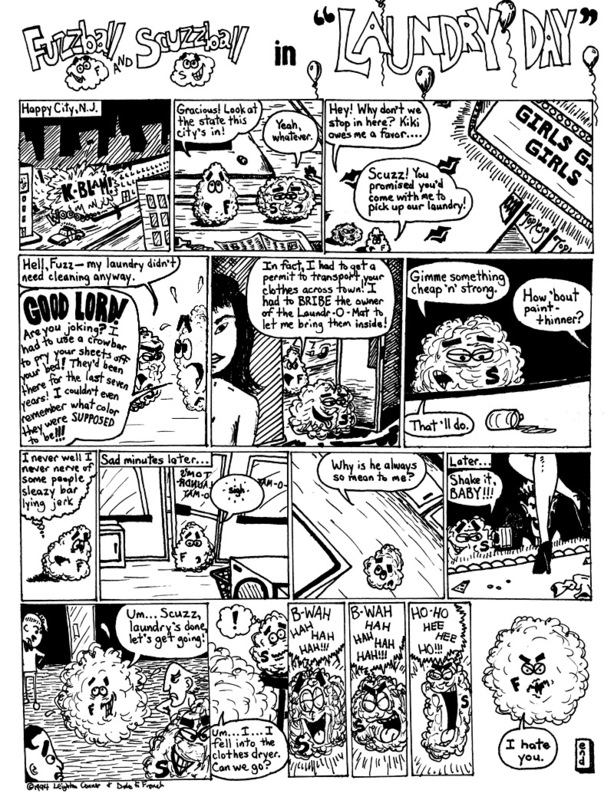 This is from way back in 1994, and is the second oldest comic I've posted here (the oldest being Fuzzball and Scuzzball Go to Heck. Mr. D.F. French and I co-wrote it, and he drew it. It was included in an anthology comic that we made. We were in college then. The future seemed bright with limitless possibilities. Anyway, aside from the fact that it's in black-and-white, I think this 20-year-old comic fits in perfectly well with the strips I've been doing recently. Which either means that I'm in a rut, or that Fuzzball & Scuzzball are timeless.